The use of different types of skin lotions and creams – They help to fade liver spots with time and their application should be consistent. Using bleaching creams – bleaching creams help eliminate the age spots by bleaching them and slowly over the course of time, they fade away. However, the use of bleach should be done with the use of a prescription guide from a medical doctor and sun protection gadgets are highly recommended. Laser therapy – this type of treatment on your hands works by breaking up those cells that produce the dark pigments in the skin hence the building up of the liver spots is eliminated. This mode of treatment is relatively expensive however it takes a short period of time for the spots to fade away. Cryotherapy treatments – this treatment uses the freezing technology whereby freezing chemicals are used to destroy the pigment that is building up in the hands. The technique is mostly used when the spots are in clusters or groups and not good for those that are scattered around. This method should not be a priority since it may leave spots of discolorations on the skin. 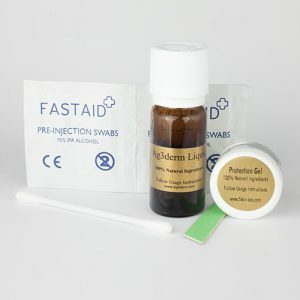 Use of chemical peels – superficial chemical peels use multiple treatment techniques to treat liver spots. Medium-depth peels are done by a skin specialist and it works faster than the superficial treatment. Sun protection is a requirement in taking care of the tender new skin that you have after getting a skin peel. Dermabrasion treatment – in this type of treatment, your old skin is sanded down to allow new skin to regenerate and replace the sun damaged skin. However, this treatment can cause scabbing and reddening of the skin.